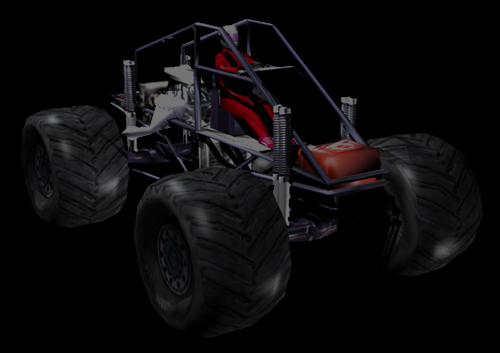 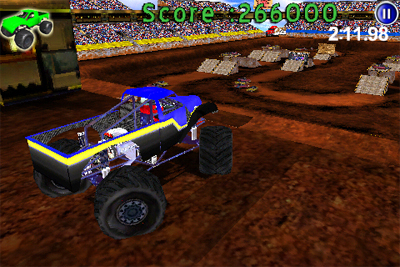 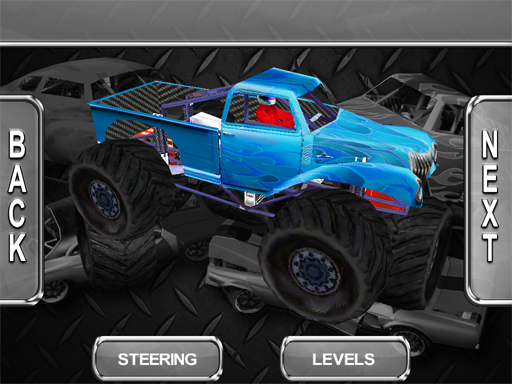 Here is your chance to drive a Monster Truck just like you stole it! 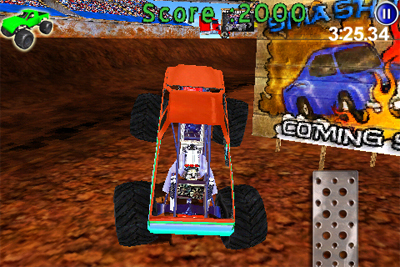 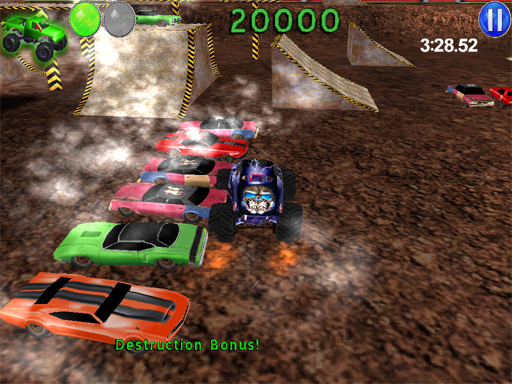 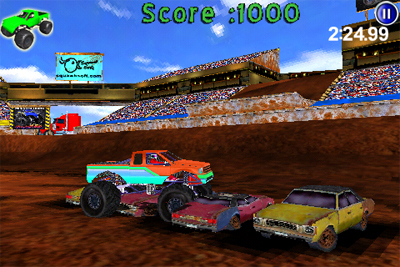 Crush cars, drive through billboards, and perform stunts with 4 unique trucks on 20 completely 3D levels! 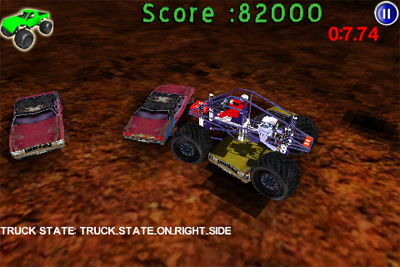 But be careful- if you cause too much damage to your truck, you’ll shed body panels and be left with just a bare monster truck chassis. 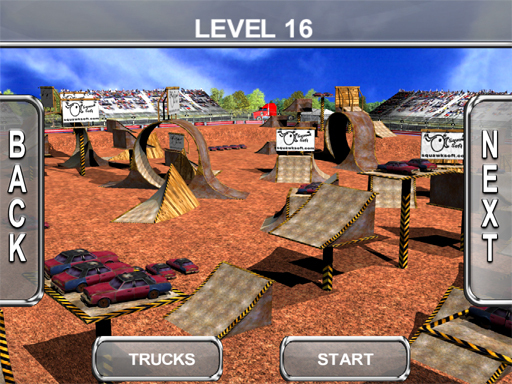 Watch the truck’s dynamic suspension move and adjust as you roll over any obstacle that comes your way. 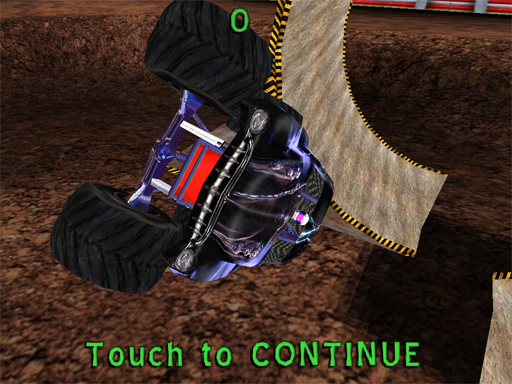 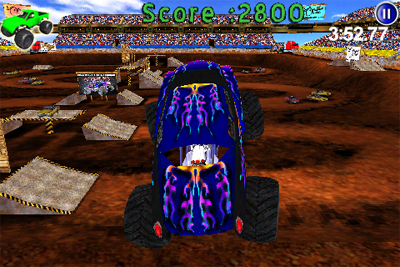 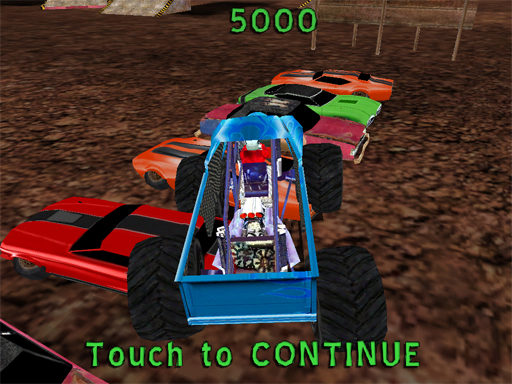 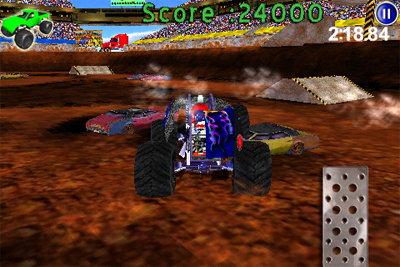 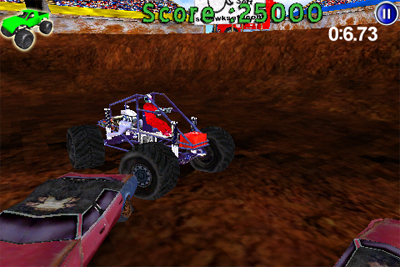 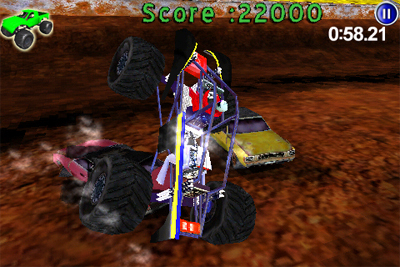 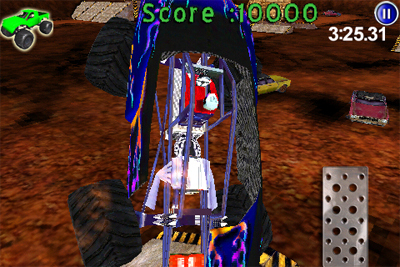 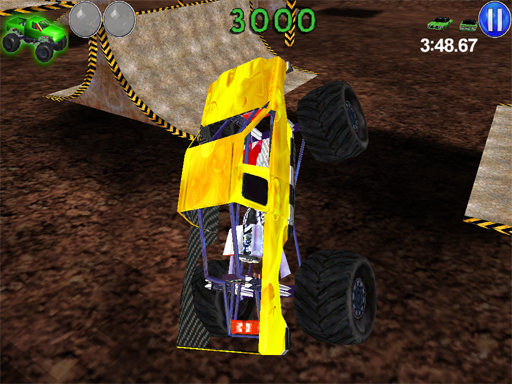 The finely tuned physics will give you the sense that you really are controlling a monster truck as you destroy and jump over everything in your path! 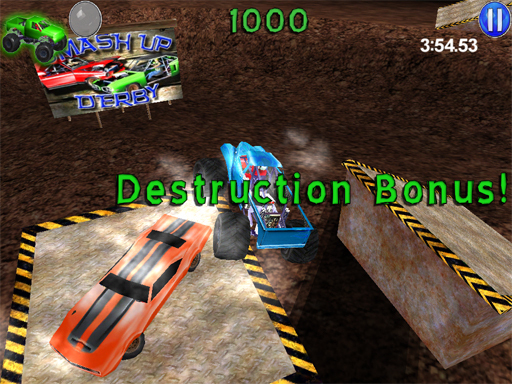 Earn points by destroying objects and pulling freestyle stunts (such as wheelies, stoppies, back-flips, rolls and more). 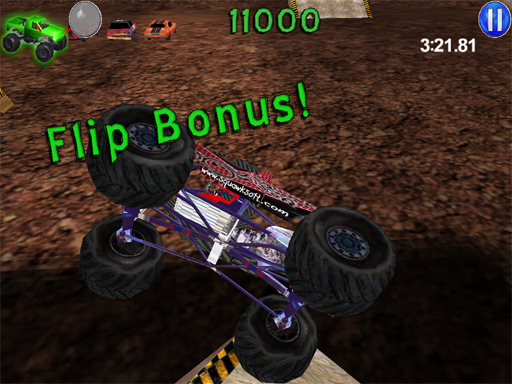 Use the accelerometer to steer the truck- or while it is in the air, you can use it to adjust the truck’s pitch and roll. 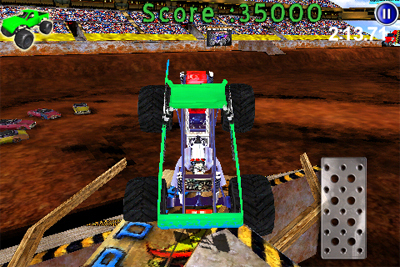 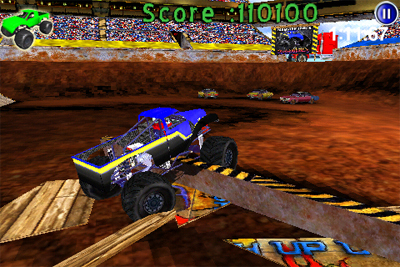 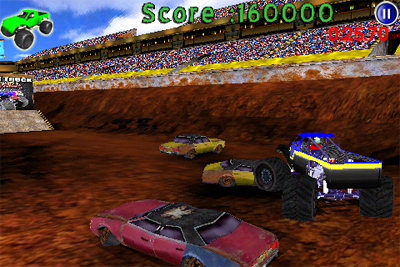 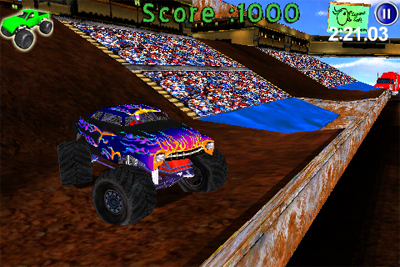 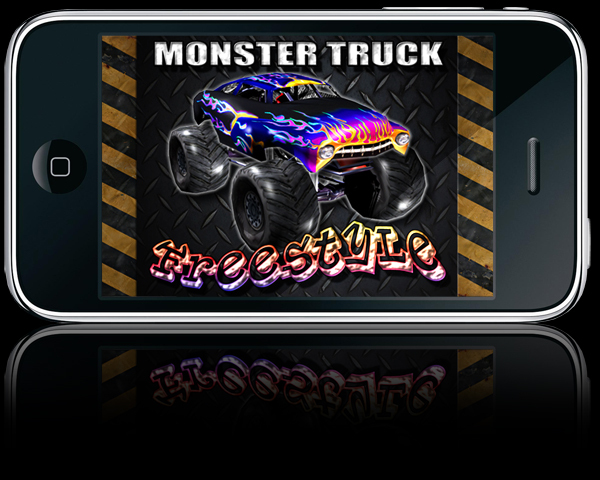 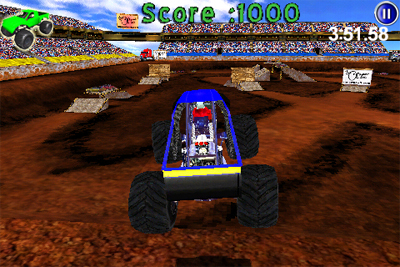 Using the accelerometer control during this “air time” will give you the ability to perform stunts never seen before at a monster truck event!